The psychoanalyst Carl Jung used the Greek mythological centaur Chiron, a wounded healer, to symbolise the analyst’s relationship with a patient. With this in mind, the New York-based Italian artist Adelita Husni-Bey has taken Chiron as the title for her most recent video and forthcoming exhibition at the New Museum—her first institutional solo show in New York. 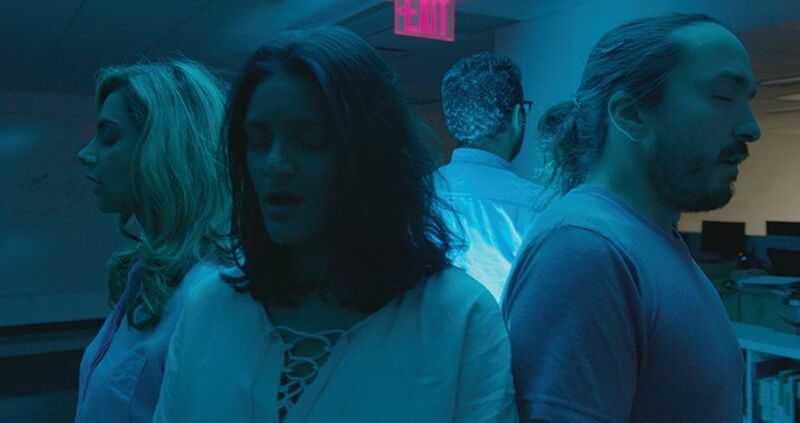 Chiron (2018) follows a workshop she undertook with a non-profit organisation providing legal services to undocumented immigrants in New York. The participating lawyers wanted to ask questions “around emotional depletion and secondary trauma” of the lawyers working closely with such immigrants, she says. Husni-Bey’s work is based on non-competitive pedagogical methods. The act of teaching is, she says, “in some form, a way of healing”. Framing the Chiron project, she decided to examine systemic problems and how the law “can sometimes uphold a system that is very flawed”. To stand with people who are struggling can sometimes mean “going against something that is considered lawful”, she adds. The show includes two earlier video works. In Postcards from the Desert Island (2010-11), Husni-Bey asked students aged seven to ten at an experimental school in Paris to “build their own world”, and in 2265 (2015) a group of teenage US spoken-word poets discuss an imaginary colonisation of Mars with playwright Nathan Ross Freeman. The show is united by a large stage installation that visitors must stand on to see 2265. “The idea is that you feel like you are part of the work in some ways,” Husni-Bey says. The stage reminds the visitors that her unscripted works are not technically “performed” but that “we are in a lot of ways constantly performing [in our daily lives]”. The exhibition is part of an initiative launched with the Danish textile company Kvadrat to show new work by emerging artists. Lead support comes from the museum’s International Leadership Council.